This is a long nosed pliers. 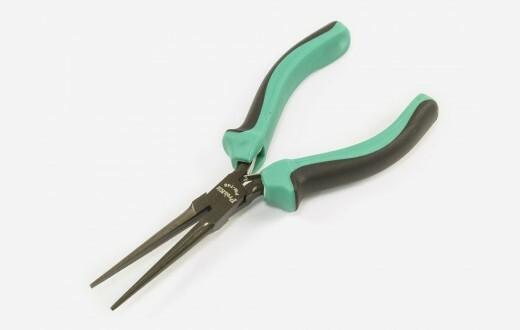 This pliers have a long gripping nose that provides excellent control & reach for fine work in small or crowded electrical enclosures. It is perfect for holding small parts, ideal for bending, stripping and cutting wire. The rubberized handle ensures comfortable grip.